Did You Know Electric Tankless Water Heaters Are Great For Radiant/Floor Heating? 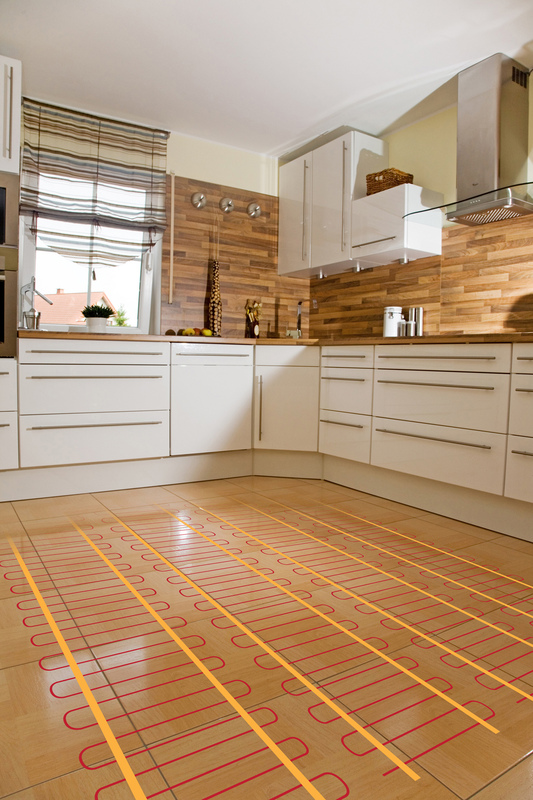 Radiant in-floor heating is a comfortable way to experience heat evenly throughout a home. 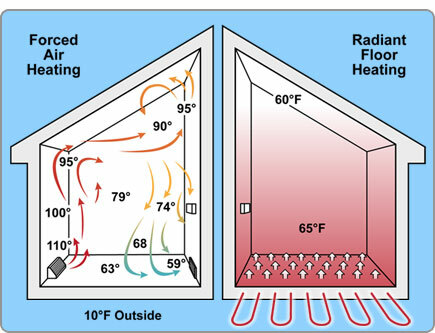 Interestingly, with radiant surfaces everywhere, air temperature in a house can actually be lower than what you think is comfortable, and you will still feel warm. 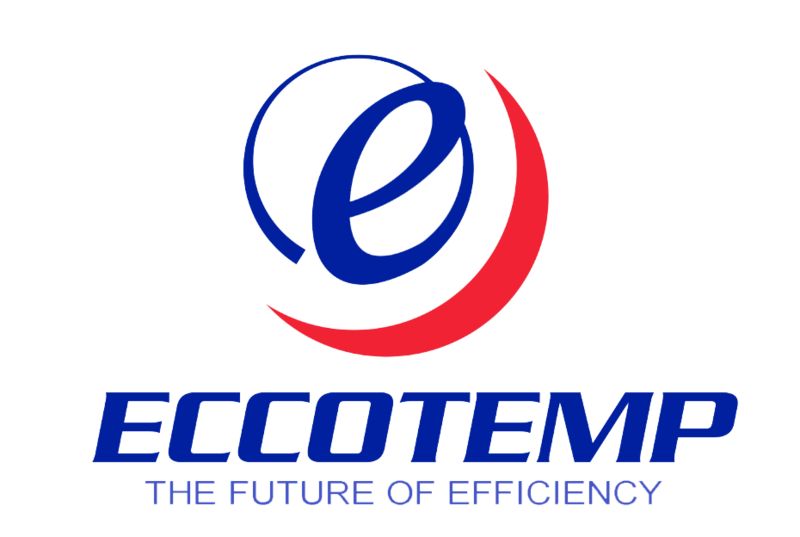 A well-designed hydronic heating system can be very economical in terms of energy use. This is especially true when a high-efficiency tankless water heater is used as the main hot water source. For even greater savings, it's possible to install a solar thermal system that will allow the sun to do some of the water-heating work. The system with a tankless water heater will also be much more responsive, have unlimited supply of hot water and clean water running through the floor heating pipes without sediments and other mineral build-ups. A tankless hot water heater is ideal for this application since there is no water to be kept hot at all times. The water is heated only when needed or requested. Water is fed through a super efficient heat exchanger and then heated. The water temperature is heated to the selected temperature setting precisely by adjusting the gas burner's flame to the desired temperature. Water temperature sensors monitor the water temperature and the tankless water heater's computer modulates the burner. This means that the water is never over heated or under heated. Regardless of the heat dissipating rate of the pipes the water is heated to the set temperature instantly due to the ability of the tankless water heater to vary its heating flame and power. The result is a very responsive system that can quickly replenish the lost heat in the pipes and therefore quickly heat the floor in case of floor heating application. This heating system uses the entire finished floor as a giant radiator. Hot water is pumped through plastic tubing installed beneath the finished floor surface. A hydronic radiant floor can be installed beneath tile or wood; it can also be embedded in a poured concrete slab. It's not a wise choice beneath wall-to-wall carpet because the carpet doesn't conduct heat very well. We recommend taking a look at our iE Series. Along with the iE’s sleek and modern design, this energy efficient model consists of multiple heating elements to share the workload and extend the life of the heater also ensuring that you enjoy a steady stream of endless hot water for years to come. The iE series electric tankless water heaters are 96% efficient, saves water and can use up to 60% less electricity than conventional tank water heater, making it cost-effective and environmentally friendly. It is sold in 4 different sizes: 11kw, 18 kw, 24kw, and 27kw.